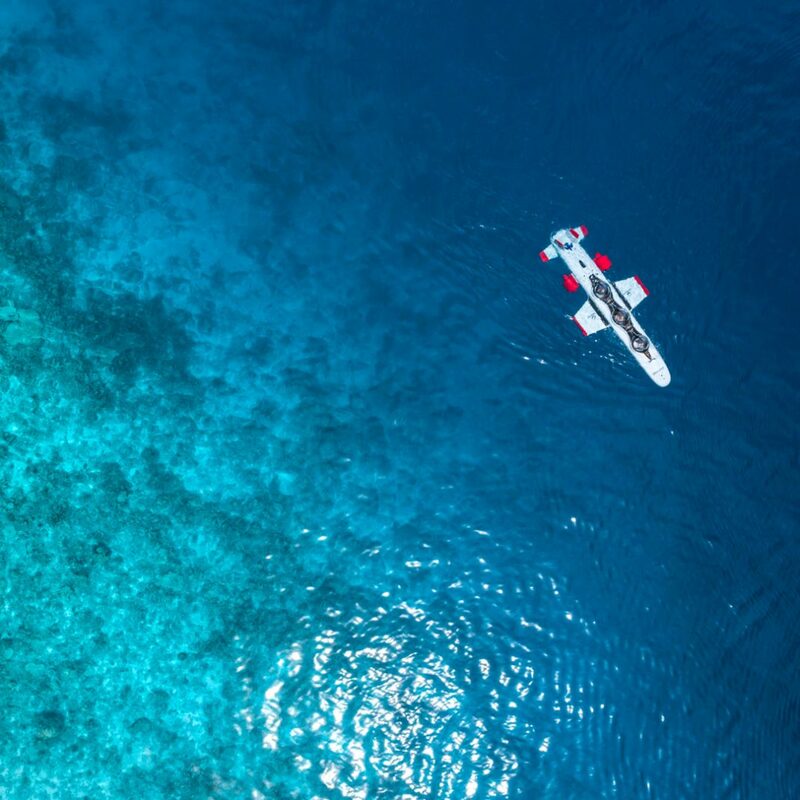 Four Seasons Resort Maldives at Landaa Giraavaru takes guests on an amazing submarine excursion aboard the DeepFlight Super Falcon 3S. Four Seasons Resort Maldives at Landaa Giraavaru is the first resort to launch DeepFlight Adventures. Climb aboard the DeepFlight Super Falcon 3S for an underwater exploration of the UNESCO Biosphere Reserve of the Maldives. 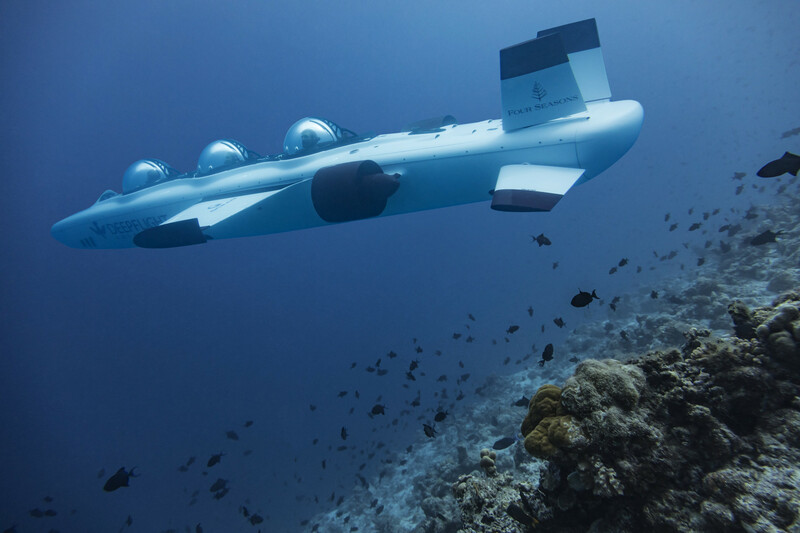 This 3-passenger submarine has individual viewing domes for unparalleled 360-views of the aquatic world of the Baa Atoll. The journey takes you to a depth of 37 meters where you’ll encounter turtles, rays and dolphins without getting wet. The submarine has a communication system with real-time commentary so you can learn more of this precious ecosystem. To preserve the ecosystem, the DeepFlight Super Falcon 3S is battery operated with reduced acoustic emissions for an environmentally friendly ride.